Tupac biopic All Eyez on Me is in theaters today, and Jada Pinkett Smith, who also rose to fame in the early '90s with staples A Different World and Menace II Society—sure isn't here to combat its 26 percent fresh Rotten Tomatoes rating. Here's what the actress, who was Pac's high school classmate and a close friend until his 1996 death, had to say, compiled. View the thread on Twitter right here. 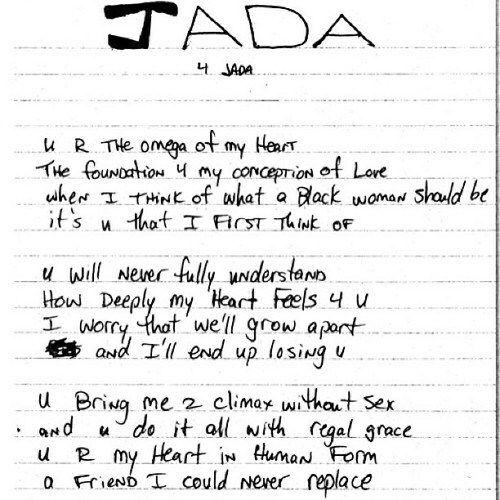 "Forgive me... my relationship to Pac is too precious to me for the scenes in All Eyez On Me to stand as truth. Pac never read me that poem. I didn't know that poem existed until it was printed in his book. Pac never said goodbye to me before leaving for LA. He had to leave abruptly and it wasn't to pursue his career. I've never been to any of Pac's shows by his request. We never had an argument backstage. The reimagining of my relationship to Pac has been deeply hurtful. To @KatGraham [who plays Jada Pinkett Smith actress] and @Dshippjr [who plays Tupac] this is no fault of yours. Thank you for bringing so much heart and spirit to your roles. You both did a beautiful job with what you were given. Thank you both.